Nicole Garlick is a marketing intern.Nicole is a senior majoring in marketing at St. John’s University, Staten Island where she plans to pursue an MBA. Nicole is President of the Student Government at St. John’s where she manages 7 standing committees and 2 ad-hoc committees. She came to St. John’s from Kennewick, Washington where her family resides. Angela Hawro is an accounting intern. 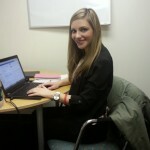 Angela is a senior majoring in accounting at St. John’s University. She is an experienced QuickBooks user. Angela plans to pursue an MS in accounting and ultimately become a CPA. 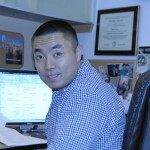 Danny Park is an accounting intern. Danny is a graduate of Baruch College Zicklin School of Business MBA program with a concentration in Information Systems. He is currently pursuing the Master of Science in Accounting Degree from Saint John’s University and is on track to sit for the uniform CPA exam in the summer of 2014. Danny served over 5 years in the United States Marine Corp and was promoted to the rank of Captain. Captain Park served 3 deployments in Iraq and was awarded the Navy and Marine Corps Achievement Medal, Navy Unit Commendation Medal, and Certificate of Appreciation for outstanding information technology project management, information systems planning, and superior leadership in support of Operation Iraqi Freedom 9.2. Please welcome our new interns.